California is famous for the diversity of its natural beauty and vast array of national parks, and what better way to visit some of these spectacular destinations than in a RV? 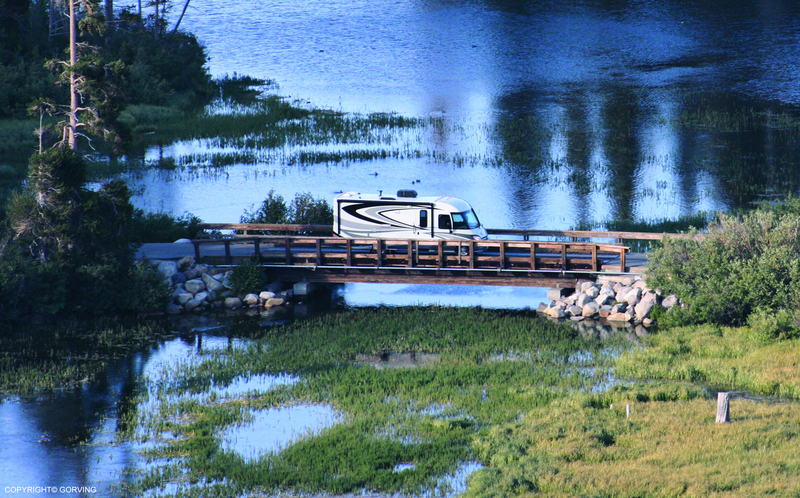 RV touring will provide an unforgettable experience, offering you a wonderful opportunity to fully enjoy all of the breathtaking experiences that the sunshine state has to offer. Here are five must-see national parks to consider when you are planning your RV trip to California. Internationally known for its majestic and breathtaking views, Yosemite National Park is famous for its remarkable granite cliffs, waterfalls, clear streams, and giant sequoia groves. There are limitless outdoor activities you can do at the park, such as hiking, climbing, biking, skiing and many others. Consisting of five islands, the Channel Islands National Park offers a one-of-a kind experience. Home to 2,000 species of plants and animals, and beautiful sea caves, this isolated chain of islands–not far from the Southern California coast– is largely underdeveloped, making it the ideal location to get away from it all. Known for its unique variety of trees, the Joshua Tree National Park encompasses nearly 800,000 acres of the Mojave and Colorado Deserts and is a great place to go bird watching, hiking, star gazing, and off-roading. The amazing boulders in this incredible park attract rock climbing enthusiasts from all over the world. Don’t let the ominous name of Death Valley scare you. In fact Death Valley National Park is a beautiful and vibrant place with unique wildlife, and an abundance of vivid colors that will leave you awestruck. At sunrise or sunset, one of the best places to experience Death Valley is Zabriskie Point, only a short walk from the large parking area. Home to five of the ten largest trees in the world, as well as hundreds of caves, Sequoia National Park is a must see for all outdoor devotees. The park is world famous for its enormous sequoias and specifically, the General Sherman—the world’s largest sequoia tree. Come and explore the 40 miles of trails that weave through the grove. Plan your California RV Trip With Us! Here at Expedition Motor Homes, we want to make sure your trip to California’s National parks is a memorable one. We have all of the latest and greatest RVs and our friendly staff is more than happy to help you plan out your trip. Contact us today at (818) 225-8239 or drop by our lot so you can pick out an RV for your next trip.